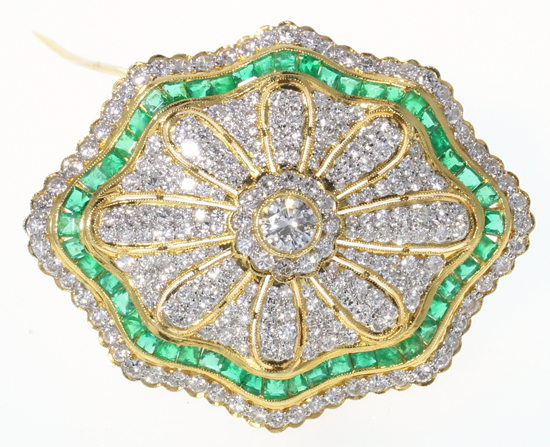 This stunning vintage brooch features a 0.42 carat center diamond with VS2 clarity and G color. The rest of the surface is pave set with with approximately 2.84 total carats of diamonds and about 3.30 total carats of emeralds. It also features a hidden bail so it can be worn as a pendant!